Kyle Fassett – In a session at the 2018 Assessment Institute, the Faculty Survey of Student Engagement (FSSE) debuted a new report that institutions will start receiving in 2019. It aims to illustrate the relationships between a typology of five faculty types and measures of effective educational practices. 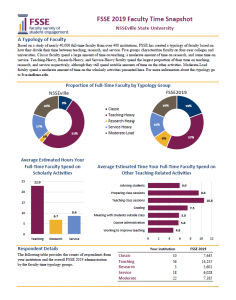 The typology originated from faculty responses on the time they spend on teaching activities; research, creative, or scholarly activities; and service activities from over 40,000 full-time faculty at over 400 institutions that participated in the administration of FSSE. Analyses led to the creation of five groupings of faculty: classic, teaching-heavy, research-heavy, service-heavy, and moderate-load. Classic faculty spend most of their time teaching with moderate amounts on research and service; teaching-heavy, research-heavy and service-heavy faculty spend most of their time as indicated by their respective names; and moderate-load faculty spend an average amount of time on teaching, and less on research and service. 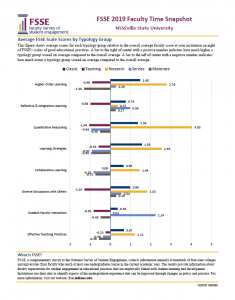 Are faculty efforts aligned to their institutional priorities? Which faculty engage in effective teaching practices? Who are the faculty that go above and beyond their role? Slides & the sample report from the presentation can be found on our website. If you would like to examine the data, FSSE now has an interactive Tableau page. 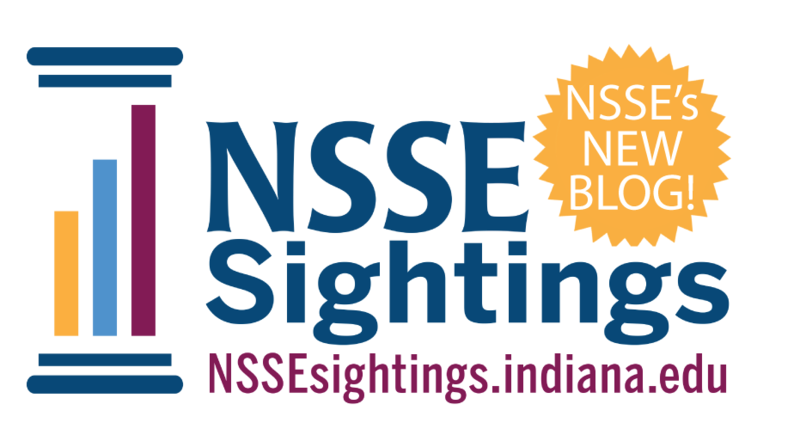 Questions about the new report and findings can be directed to fsse@indiana.edu. We’d love to hear from you!